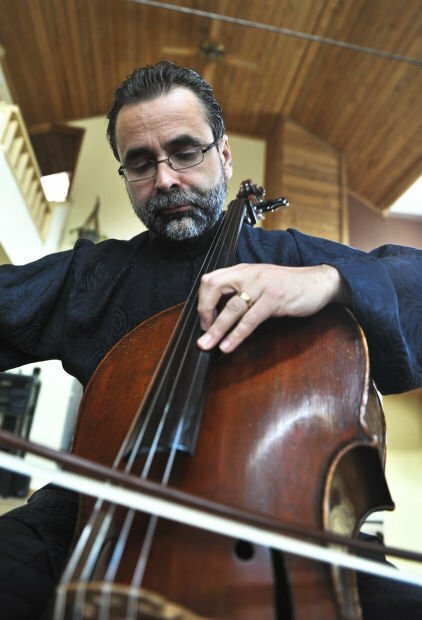 In this file photo Ovidiu Marinescu, guest soloist for the Helena Symphony, plays a song at Helena Symphony Music Director Allan R. Scott's home. This will be Ovidiu Marinescu's fifth time performing with the Helena Symphony. The concert opens and closes with two dynamic and fiery Ludwig van Beethoven overtures and includes Wolfgang Amadeus Mozart’s “Prague Symphony” – Symphony No. 38. “The concerto in C Major by Haydn is a very special piece for me, as I have performed it across the world, from Pennsylvania, Romania, to the Great Hall of the Moscow Conservatory, a very reputable hall where the greatest artists have performed. “The concerto by Haydn is indeed full of joy, sparkle and youthfulness. It belongs more to the Rococo style, the elegant style of music ‘en Vogue’ before the full-fledged classical style became the norm. “The first movement is a beautifully ornamented song for the cello accompanied by the orchestra, with a short cadenza at the end. The middle movement is lyrical and full of emotion, with moments of pathos. “The third movement is the showcase of the concerto, displaying super-fast sections for the cello, and challenging the orchestra to maximum virtuosic playing. “The audience just loves him,” said Music Director Allan R. Scott, and he has “performed more than any other soloist we ever had.” This will be his fifth time. Scott and Marinescu are longtime friends and have collaborated for almost 20 years, performing throughout the country many times. The concerto was just discovered 50 to 60 years ago, said Scott. On Saturday night, the charm of Haydn, meets that of Marinescu. Marinescu grew up in Romania when it was part of the Communist Soviet Bloc. “The irony of it was, if it hadn’t been for the awful dictatorship, he never would have played the cello,” said Scott. Apparently, when Marinescu’s father brought home the instrument, Marinescu had no idea what it was. Thinking it was a toy, he straddled it to ride it like a tank, said Scott. For Marinescu, he and his cello turned out to be a lucky pairing. 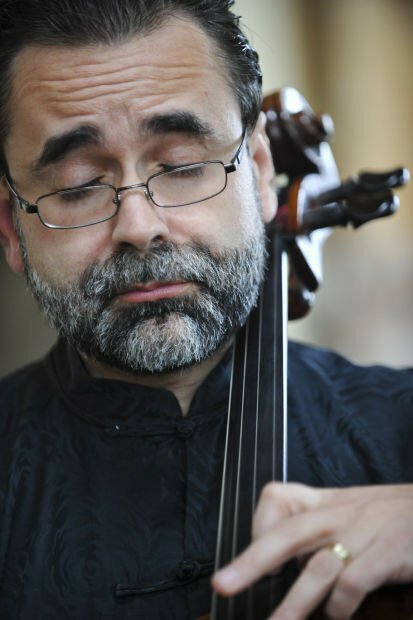 Trained at the Romanian National Academy of Music, Marinescu won first prize and Music Critics’ Award in the George Dima Cello Competition. In the United States, he studied with Wolfgang Laufer at the University of Wisconsin-Milwaukee. Another evening highlight is the popular Prague Symphony. His “Prague Symphony” “is so uplifting,” and he dedicated it to the people of Prague. “The Prague Symphony is the most romantic of his symphonies,” said Scott. Mozart was a highly unusual composer in that he wrote only one copy of his work, said Scott. “He wrote it down complete the first time,” without any revisions. Scott specifically designed this all Classical concert with two Beethoven overtures bookending the evening. Beethoven’s overture to the play “Coriolan,” opens Saturday’s concert. It gives “a wonderfully powerful musical depiction of the tragedy of the play in a brief seven minutes,” said Scott. Tickets are $15 to $55 (plus a $5 transaction fee) and available online at www.helenasymphony.org, or call 442-1860, or visit the Symphony Box Office, 2 N. Last Chance Gulch, Suite 1 on the Walking Mall 10 a.m. to 4 p.m.
Where: Helena Civic Center, Neill Ave. Contact: www.helenasymphony.org, or call 442-1860, or visit the Symphony Box Office, 2 N. Last Chance Gulch, Suite 1 on the Downtown Walking Mall --10 a.m. to 4 p.m.